A former Peace Corps colleague just posted this Huffington Post article outlining the precarious state of Panthera leo senegalensis, the West African Lion, which is genetically distinct from the big cats we have here in Tanzania. 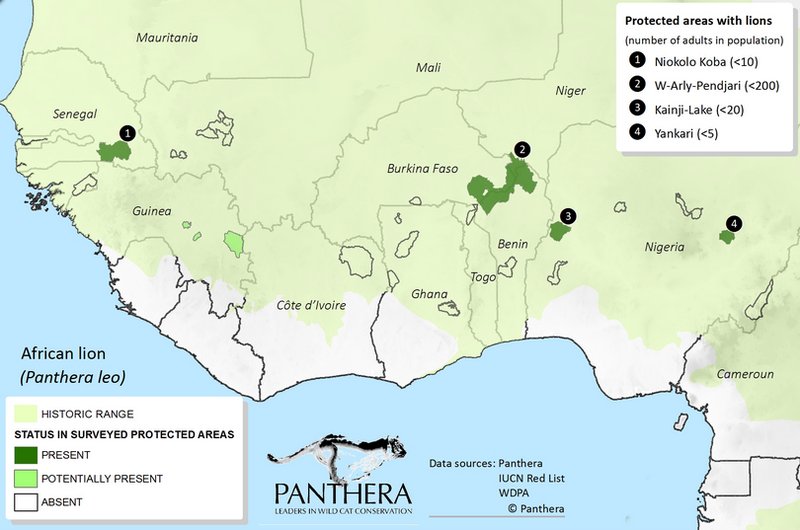 According to researchers, there are only about 400 lions left in all of West Africa. That puts their population at about half of the critically endangered mountain gorillas in Rwanda, Uganda, and the Democratic Republic of Congo. The odds of this predator surviving are extraordinarily slim. I am particularly saddened by this news because, when I lived near Niokola-Koba National Park in Senegal, lions’ roars were occasionally heard at night outside the village where I worked. That classic African experience is about to disappear forever.